Suspension is a path we took a long time ago. A path which today moves on to explore a dimension within the home that hadn’t yet been exploited: the ceiling. 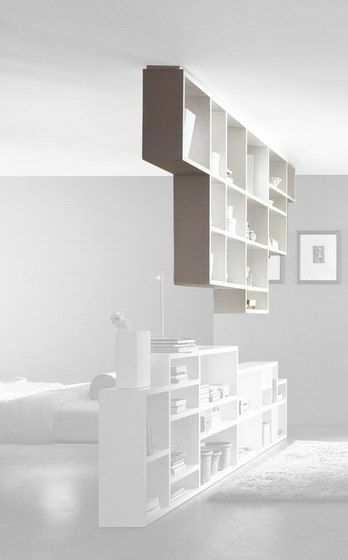 Bookcases and containers come down like stalactites and create a surreal suspension effect. It is a completely new way of conceiving furniture used in living quarters which gives life to architectural settings, whether they be full or empty, and that divides rooms in an original and elegant way. The shelves can be finished in ultra-clear glass backboards which accentuates the transparency effect, whether it be lacquered glass or wood.